I can think of no better way to spend the last days of summer than lounging outdoors with good company and a lot of delicious food and drink. While the spread is of primary importance, a few items can elevate the experience for a more considered (and photogenic) picnic. Twin Split Picnic Basket from Kaufmann Mercantile; $65. Heather Taylor Home's Zuma Check Blanket makes a perfect picnic blanket; $170. Crow Canyon Home's 8" Flat Salad Plate in durable enamelware; $7.49. Studiopatro Linen Dyed Lightweight Napkin in Zinnia; $20. Sturdy and stackable Duralex Gigogne Tumblers; $14.95/set of six. Studio Nicco's Travel Backgammon & Checkers Game Bag Set; $55. The Walnut Travel Cutting Board and Knife from R. Murphy Knives does double duty as a portable charcuterie board; $129. 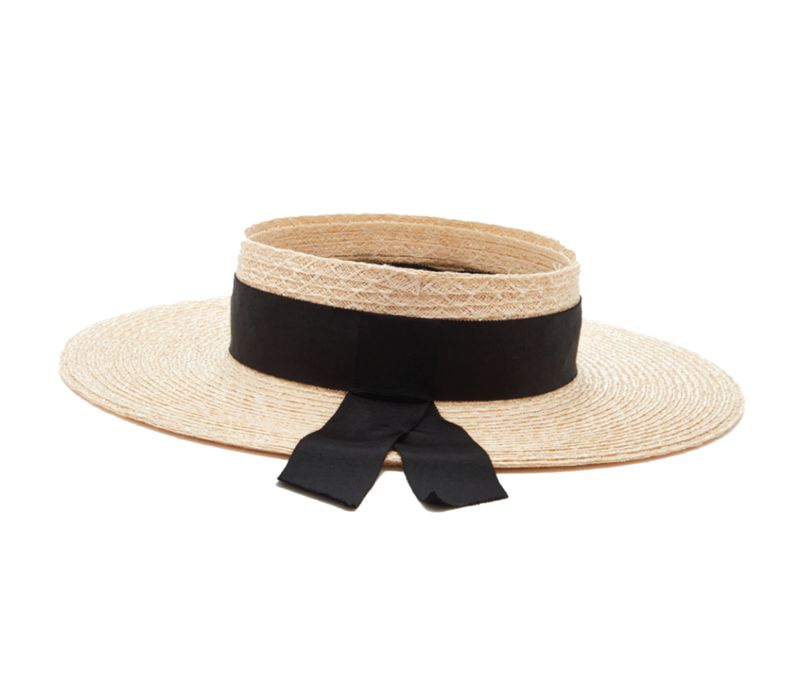 Eugenia Kim's Lettie Visor with Grosgrain Band provides chic sun protection; $295.